There have been studies into cardiac arrest patients to see if those who are clinically dead can have out-of-body experiences. In one study, images were placed where they could only be seen from above, and patients were asked whether they saw those images if they had revived after being clinically dead. Many hope that these kinds of studies will increase our knowledge of the process of death, they may do to a certain extent, but to those who practice esoteric exercises, they tell very little and still leave personal experience and experimentation as the most effective way to gain knowledge of death. It’s difficult for science to tackle anything of a supernatural or spiritual nature, so look carefully at how the conclusions follow from the studies. What are these kinds of NDE studies actually going to show? There have been a huge number of NDE cases reported under medical supervision already. What many studies seem to do is to look at what people see when they have an NDE and then tries to determine the objectivity of that sight in order to determine the “reality” of NDEs. It’s already known through a huge number of accounts that patients demonstrate consciousness when the brain switches off. So if subjects see anything lucidly in those study conditions while “dead,” then that in itself is a demonstration of the separation of consciousness. Placing pictures for patients to see in a study tests whether patients see the pictures – not whether they “see” at all, which is a different thing altogether. It is unlikely (but just possible) that when having died, being out of the body and going through that profound experience of death, that people will find the study’s pictures. It doesn’t show that. This as a major flaw in these kinds of experiments; why is seeing the pictures a demonstration of consciousness, but seeing anything else after the brain switches off is not? If no one sees the pictures, then that in itself is not enough to conclude that the experiences are illusions. It would only show that in those times where NDEs were subjected to that study, patients did not see the pictures. There could be many reasons why they didn’t see them, even en masse. It also appears that such a conclusion would discount many NDE accounts up until this time, which have clearly described events happening to people while “dead” that could only have been described had the subjects been out of their bodies. Understanding most of the reasons why patients wouldn’t see the pictures during an NDE would require knowledge of what’s on the other side, yet there is a lack of scientific means to explore it. Taking purely physical evidence, the very fact of consciousness existing with lucidity when the body is “dead” demonstrates that there is more going on than a simple “if you don’t see the pictures it’s not real” conclusion can account for. There are laws and other phenomena happening in the dimension where NDEs occur, and those laws and other life forms influence what the individual perceives in an out-of-body or near-death experience. If you study different accounts of people’s experiences when they have an NDE, you’ll see that they tend to follow the same or similar patterns, irrespective of age or culture. In some religions there are accounts of personal experience of NDEs by mystics, sages, and the like. These have usually arisen from dream or out-of-body experiences. In the past, these kinds of experiences been the way for people to understand and know about these things, and we today are using essentially the same or similar methods. These methods are not provable using current scientific methodology or techniques, because there is no scientific way of exploring what a person is actually experiencing, but that doesn’t mean these mystical methods don’t work. Scientific methods study just the response of the NDE experience upon the physical body and the account of the individual. It is because the accounts have happened in the absence of any signs of life in the physical body that some in medical science take NDEs seriously. But that doesn’t change the experience, and it’s the personal experience that ultimately each single person has to stand by and call “living.” This life experience is most valid to the individual, and humanity is made up of individuals. There are limitations in science’s ability to understand reality. No one would suggest that science is capable at this time of answering many of the deepest questions of life and human existence and so simply to draw conclusions that things are not real just because they are not provable by science with today’s technology is a mistake. These teachings offer an alternative approach: they offer the opportunity to have out-of-body experiences with age-old methods and techniques, and to explore from personal experience. What is a life after all apart from individual experience? And how much is able to be perceived of what is real with the five senses? Because science cannot reliably prove whether out-of-body experiences are real or not, that doesn’t rule out the logical view that they are. If you’ve had a really clear OBE, where you’ve seen things no dream could show you, you’ll know they are real. 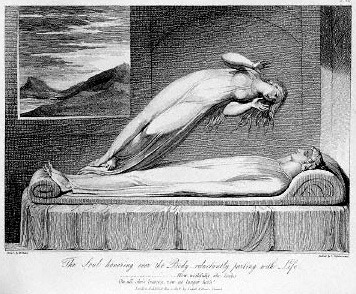 There has been very little research done into the field of out-of-body experiences (some with mixed results), and this latest research into near-death experiences adds to a small catalog. 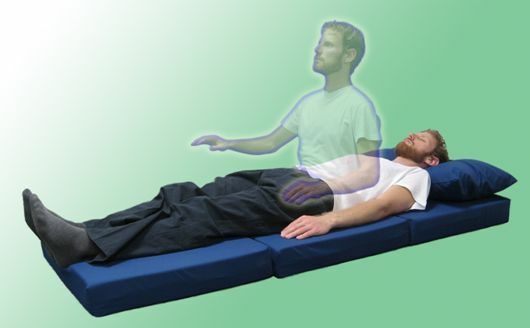 Near-death experiences indicate that consciousness exists outside of the body, so logically there is no reason why consciousness couldn’t also exist out-of-the-body while the body is not in a near-death state but in a normal state. When you travel out of your body you can know it is happening very clearly. In the absence of science being able to fundamentally prove or disprove out-of-body experiences and near-death experiences, it’s left for the individual to experience them for themselves personally and to follow their own course of exploration by actually having out-of-body experiences. We go into the realm of the spiritual when we go out of the body. Because of the spiritual nature of what is out of the body and its laws, to subject ourselves to the tests of science would be to demean the spiritual and acknowledge science as the authority, when it is science that should be looking to the spiritual for its guidance. You can never really know a non-physical experience through the accounts of other people’s experiences, nor through the study of physical phenomena. Science doesn’t have the means to effectively explore other non-physical dimensions nor the spiritual. Therefore OBEs, NDEs, non-physical dimensions (above the fourth), and spirituality itself, can only really be explored and known through personal experience. This is a reason why it’s so valuable to explore within, to have OBEs and to explore life outside the body. For a person who does this, it becomes quite irrelevant whether there is scientific proof for the existence of OBEs and NDEs or not. What matters more is how they live their life in relation to what they discover and what they can do with what they find.